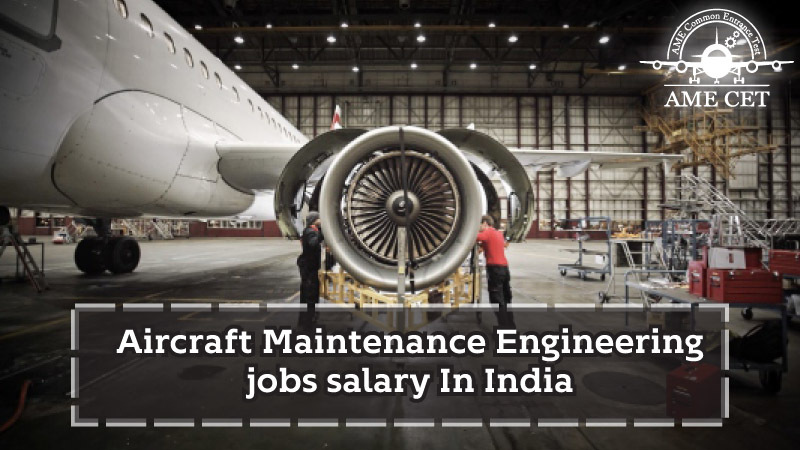 Aircraft Maintenance Engineering jobs salary in India is very high. AME is the course related to the maintenance and repair of aircrafts. It is 4 years course which includes 2 year academic and 2 years training in flying environment. This course is collaboration of theoretical and practical knowledge. The institute of AME are DGCA, Ministry of Civil Aviation, Govt. of India approved. AME are highly paid professional. At the time of training candidate will get stipend which is around INR 15000 to 25000 per month. After getting license Aircraft Maintenance Engineering jobs salary according to the payscale is approx INR 40 lakhs per annum. Not only salary, the job also provides respect and high dignity. AME are knowledgeable and skilful as they are the backbone of the aircrafts. National/ International Carriers: There are carriers which provide transportation to the passengers. No aircraft can fly without approval from AME. Airports: The safety and security of aircraft is responsibility of AME at ground level so there is requirement of AME at airport. MRO: The MRO organisations are specialise to perform the actions on engines, aircraft frames, wings, landing gears, fuselage etc. Aircraft Manufacturing Companies: The companies which manufacture the aircraft also require AME. The companies are such as Boeing, Airbus etc. Aircraft Part Manufacturing Companies: The companies which manufacture the components of aircrafts also require AME. DGCA: The DGCA is an Indian body which makes rules and regulations related to safety and security civil aviation. Aircraft Operational Organisation: The aircraft operational organisations are the organisation who perform the operation within country or across the country. Aviation Training Centre: Aviation training centre are the centre where the training related to the aircrafts is done. Flying Clubs: This clubs provide the access to the affordable access to the members. Civil Defence Force: The Civil Defence Force is uses flying objects to protect their country so they are also maintained by AME. And many other places: – The places wherever aircraft are required there are requirement of AME. Indian aviation sector facing skill shortage in Pilots and AMEs. India is growing in aviation sector so requirement of AME is at its peak. Indian MRO Industry On Verge Of Expanding….Excellent Growth Rate for Aircraft Maintenance Engineering. This leads to new height to the AME career. India is growing in aviation so fast. Air traffic growth is around 28% which builds golden era to build career as AME. Two Indian airports have been ranked in World’s top 10 fastest growing airports. The air traffic has being increase in India so much which is raising hike in AME jobs. The UDAN scheme is giving boost to AME career. UDAN Scheme makes airfare affordable for common people to travel through. The drastic increase in domestic passenger can be seen which result in rise in AME career.